5 Bedroom Detached House For Sale in Northallerton for Guide Price £495,000. Situated within the ever popular village of Ingleby Arncliffe, this well presented five bedroom detached residence comes well situated within its generous grounds. Offering large driveway ample enough for several cars to the front of the property, the rest of the grounds offer well stocked mature gardens to be enjoyed. Internally the property briefly comprises of: entrance porch, hallway, living room, dining room, kitchen breakfast room, utility, landing, five spacious bedrooms, two with en-suite, airing cupboard and family bathroom. Extended throughout recent years the rooms are light & spacious throughout. Please note the property benefits from solar panels with a payment scheme running, discussed upon negotiations, please call 01642 711 555 to view. Spacious dining room with double patio doors looking out on to the rear garden. Fitted with a wide range of wall and base units all with recently upgraded equipment, with windows overlooking the rear garden. Utility room fitted with wall and base units. Modern WC with hand wash basin and fitted vanity. Large landing providing access to all first floor accommodation and airing cupboard, with loft access. En-suite shower room recently added with a modern suite, fully tiled with vanity storage. Fully refurbished with WC and hand wash basin. 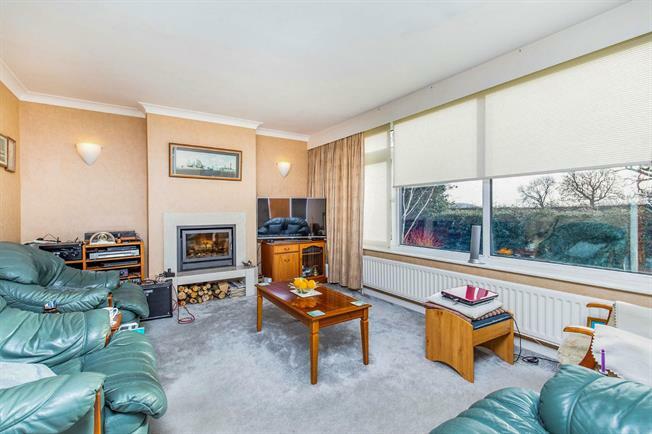 Generous double bedroom with built-in storage and views to the front aspect. Good sized double bedroom with views to the rear. Situated upon a quarter of an acre generous plot, the grounds comprise of a spacious driveway leading to the spacious garage and front entrance, with front garden laid mainly to lawn with large privet hedge. The ground continue to the side and rear of the property providing an extremely generous rear garden with well established kitchen garden and shed. Spacious garage with workshop to the rear with light and water.